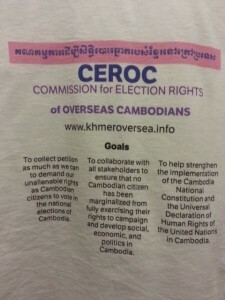 It has been nearly a month now that CEROC has actively campaigned for the Right to Vote of all Cambodians Overseas. 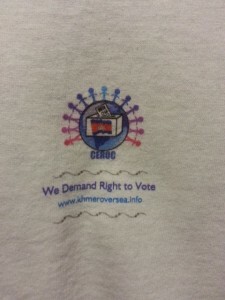 For this historical and collective effort, the CEROCERS, supporters and sympathizers are actively working hard to spread this news and collect petition signatures as much as they can. During this solemn Khmer New Year Celebration of passing from year of 2557 to ascending towards to the year of 2558, CEROC is extremely colloquial and ambitious. 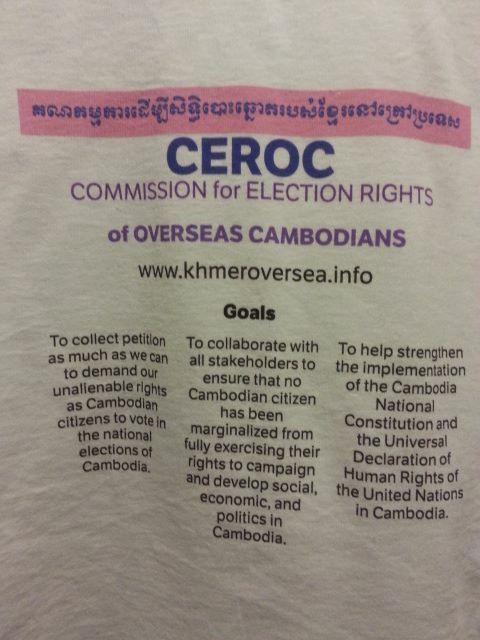 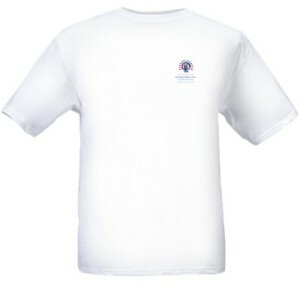 Beside of regular promotion through individual contact, family gathering, public forums, ceremonies and traditional gathering such as Khmer New Year, CEROC has used print media such as T-shirts, posters, flyers and artistic logos to outreach and ads our campaign omnipresently. 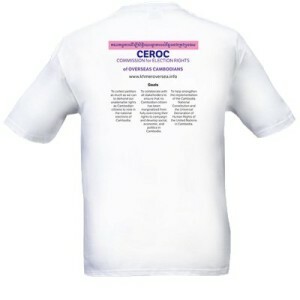 Below are selective print media for your reference.